Glowering amid dark rumours and terrible stories of desperate adventure, death, betrayal and glimmering treasures squat the unutterably ancient halls of Gloamhold. This crumbling, benighted, haunted dungeon complex of unknown, but undeniably vast, extent is buried deep within the grim and brooding spray-drenched headland of the Mottled Spire. It is a place of legends, madness and death. I’ve got big plans for Gloamhold and Ashlar in 2019. In 2018, we focused on tidying up and detailing Ashlar’s various villages, towns and cities. Languard got extensive treatment in City Backdrop: Languard and the Languard Locations series while the Villages of Ashlar presented all of the duchy’s villages in 5e, System Neutral and Pathfinder editions. 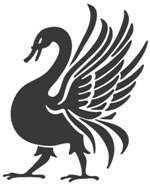 The eagle-eyed among you will notice I’ve now made passing reference to two new Raging Swan Press product lines—Dungeon Backdrops and Eventures. What are they? Every Dungeon Backdrop is carefully designed to be easily inserted into almost any fantasy campaign and is compatible with virtually any fantasy roleplaying game. Dungeon Backdrops: we describe the dungeon, you add the monsters (and the treasure). This product line was born out of a comment a friend made a couple of years ago. I’ve been noodling about with the concept since then, but a message from one of Raging Swan Press’s patrons over on our Patreon campaign galvanised me into action. Essentially, my chum said he likes reading and using commercial modules, but he always extensively changes them to better fit his game. He went on to describe an adventure he used in which he basically changed all the occupants of the dungeon. As a GM, I often tweak adventures I’m playing and I suspect I’m not alone in that. Dungeon Backdrops give you the setting and let you concentrate on creating exciting situations and opponents. Dungeon Backdrops are also a great way of detailing small sections of Gloamhold and the surrounds. Gloamhold itself is so large and vast that any attempt to map the entire place is doomed to failure. With Dungeon Backdrops, GMs can drop in small complexes—or parts of dungeon levels—where they need them. One book I really want to publish in 2019 is the Duchy of Ashlar Campaign Guide. Akin to the Gloamhold Campaign Guide or The Lonely Coast this likely won’t be a big book, but it would need to give an overview and include more about the duchy itself as opposed to its villages and towns. What calendar does the duchy use? What’s the weather like? What festivals do its folk celebrate? All these questions need answers! I’m also plotting a hardback City of Languard hardback book. One thing I struggle with in regards to this book, however, is how could you ever finish it? City Backdrop: Languard along with the Languard Locations line already comes to roughly 100 pages of material, but that barely scratches the city’s surface. As my campaign currently runs in the city, I suspect I have a lot of city-based design and development in my future! 2019 is going to be a big year for Ashlar and the Gloamhold megadungeon. Above, I’ve laid out some of my plans for Gloamhold in 2019, but what do you want to see in regards to Ashlar and Gloamhold? More adventures? More supplements? Let me know, in the comments below. Looking great, Creighton! 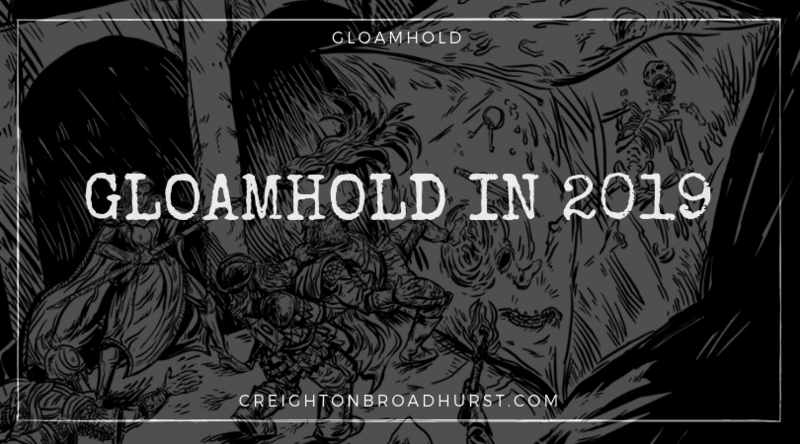 I’m looking forward to what you develop with Gloamhold in 2019. I especially like the idea of eventures. Everything you mentioned has me mega excited for 2019! Thank you!